The Dallas Fort Worth Labrador Retriever Rescue Club, Inc. is dedicated to alleviating the needless death and suffering of home-less or misplaced (lost and stray) purebred Labrador Retrievers in the Dallas Fort Worth area. 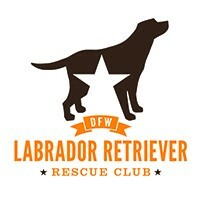 DFW Labrador Retriever Organization added a new tournament. DFW Labrador Retriever Organization added a new photo.